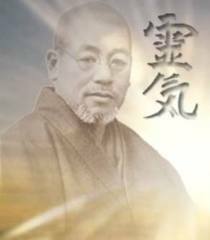 Reiki Healing Journeys - Reiki history Dr Mikao Usui ~Founder Of the Reiki System of Natural Healing. 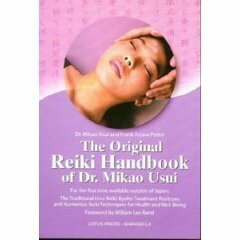 (1865-1926)The History of Reiki.The History of the Reiki System of Natural Healing had undergone major revision over the last decade. More and more discoveries are happening as continued research ensues. Research continues to recover the original teachings of Dr. Usui, the Reiki System's founder, as well as, Dr Hayashi, Madame Takata's teacher. Up until recently people relied on the story of Reiki given to us soley by Madame Takata, the woman who introduced Reiki to the United States in he early 1930's.It was originally believed that Dr. Usui was enlightend on Mount Karuma and rediscovered Reiki, after deep contemplation, meditation and investigation into various religious and spritual philosphies. It now appears that he may have developed this healing himself following an enlightening experience on Mount Karuma in Japan. He developed a training, which seems to have included six levels of degrees Later, it was modified in the West to three degrees. Founder Of the Reiki System of Natural Healing. The History of the Reiki System of Natural Healing had undergone major revision over the last decade. More and more discoveries are happening as continued research ensues. Research continues to recover the original teachings of Dr. Usui, the Reiki System's founder, as well as, Dr Hayashi, Madame Takata's teacher. Up until recently people relied on the story of Reiki given to us soley by Madame Takata, the woman who introduced Reiki to the United States in he early 1930's. It was originally believed that Dr. Usui was enlightend on Mount Karuma and rediscovered Reiki, after deep contemplation, meditation and investigation into various religious and spritual philosphies. It now appears that he may have developed this healing himself following an enlightening experience on Mount Karuma in Japan. He developed a training, which seems to have included six levels of degrees Later, it was modified in the West to three degrees.